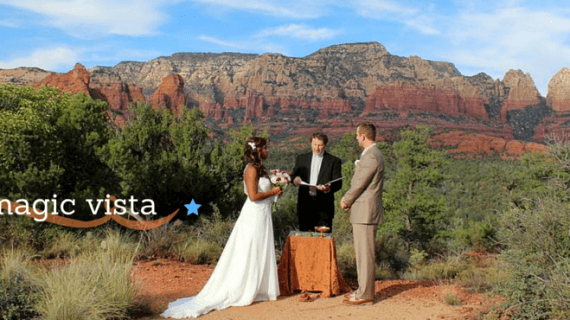 Magic Vista is one of those hidden treasures. 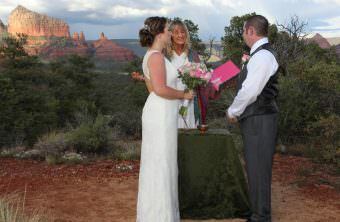 I have dubbed it “magic” because it truly is a magical little spot and a perfect wedding venue. 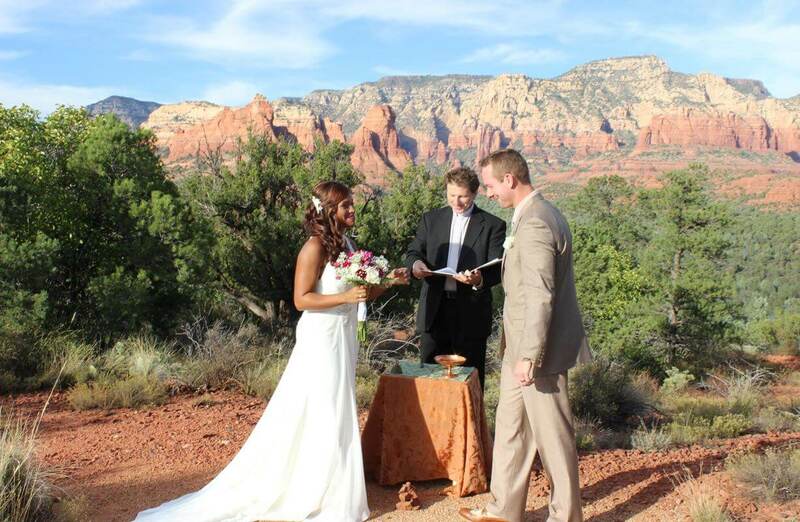 The views are unbeatable. You are right in the shadow and the heart centered energy of Sugar Loaf and Thunder Mountain rises above you with Coffee Pot. As you turn, you have a magnificent 360 degree view. 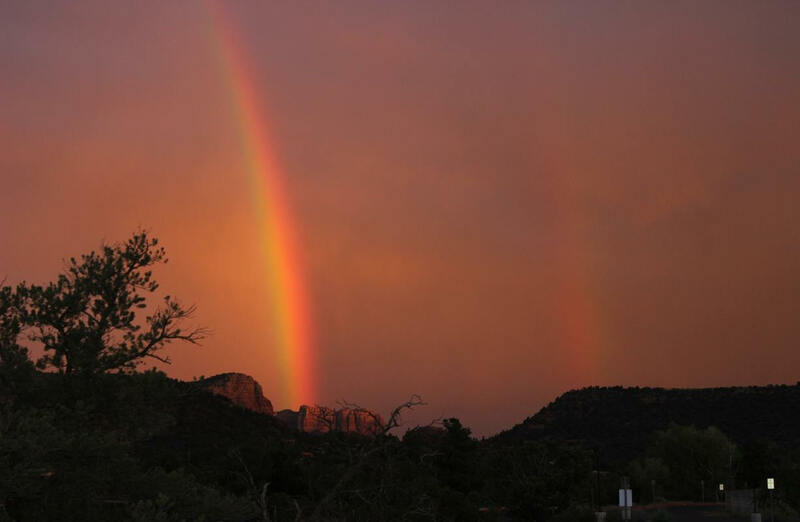 Your eye comes to Soldier’s Pass and Brim’s Mesa (called Brim because an original settler kept his prize bull, Brim, up there grazing), and then Wilson Mountain and ShipRock. And then Schnebley Hill and around to the Twin Buttes and Airport Vortex! 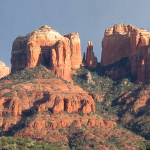 I just thought of another great reason to call it “Magic Vista.” Walt Disney lived in Sedona for awhile and many of the whimsical street names were given by him. 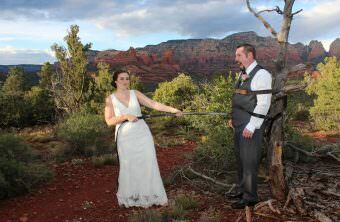 He was inspired by Sedona and at Disney Land he made his focal piece “Magic Mountain,” which was modeled after Thunder Mountain! 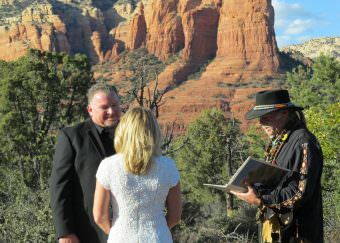 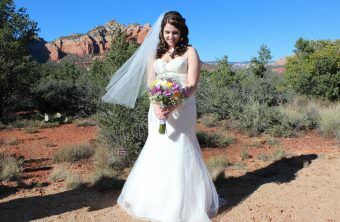 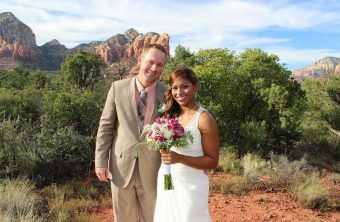 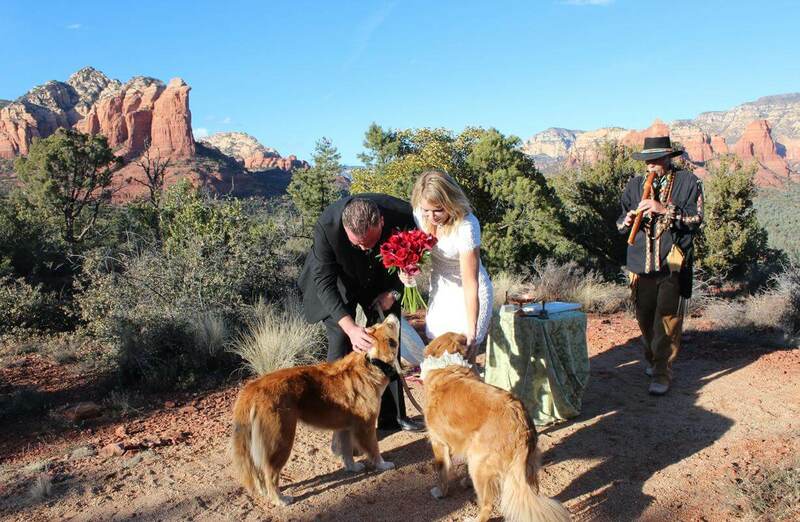 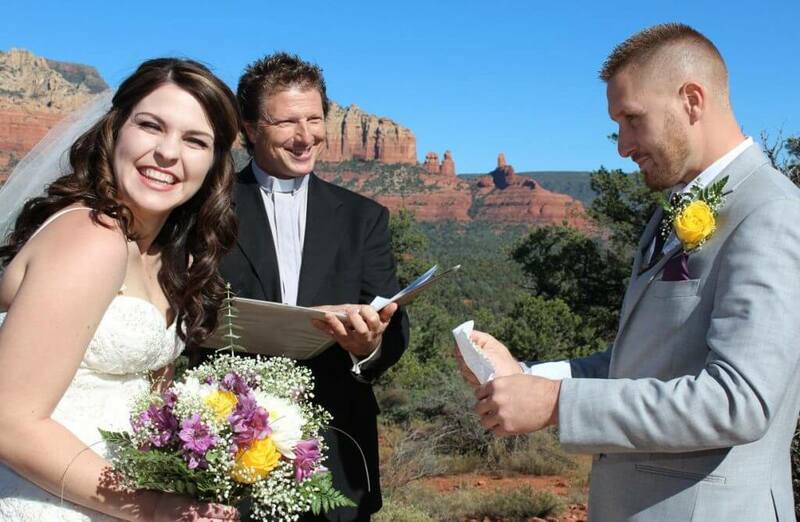 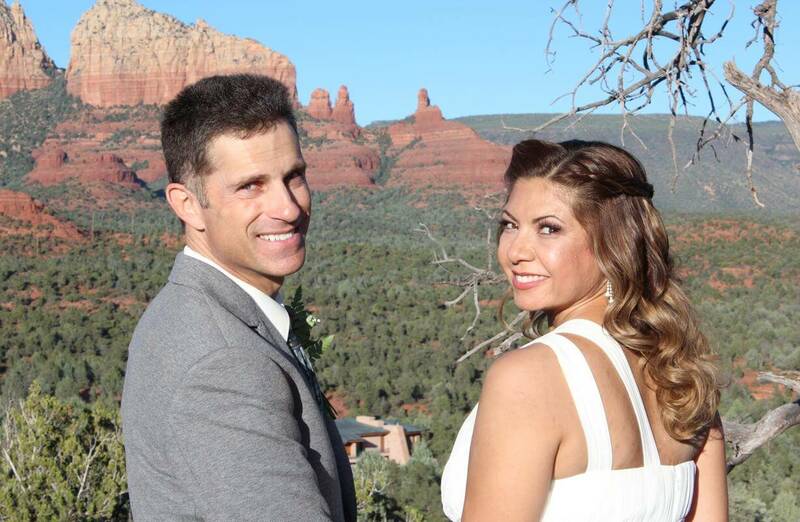 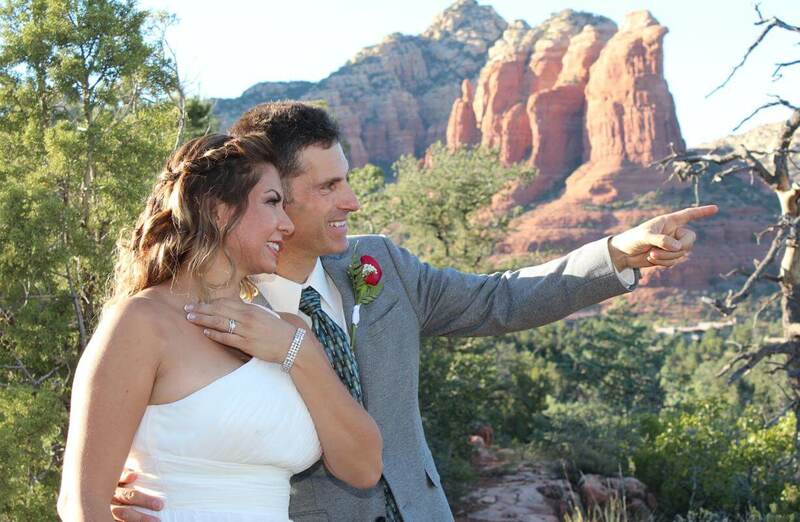 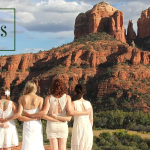 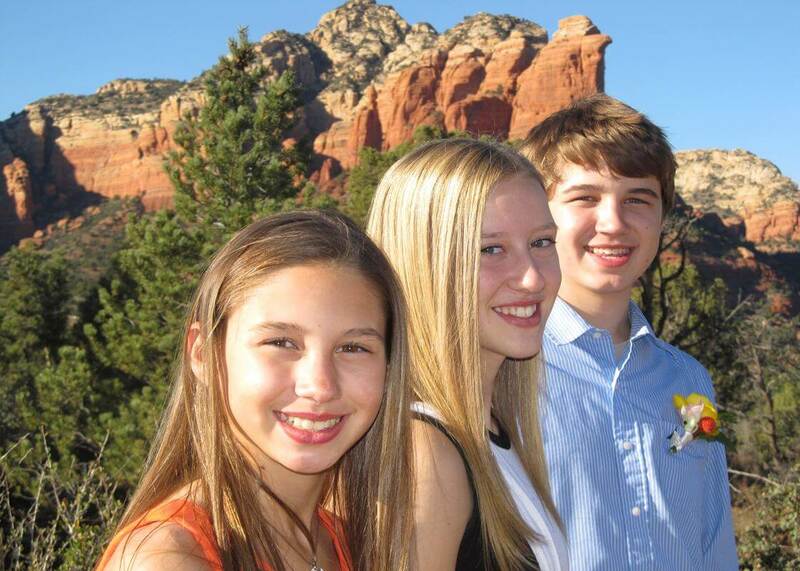 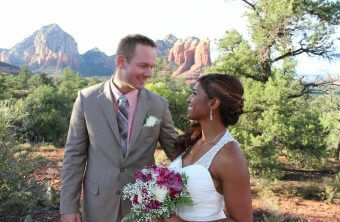 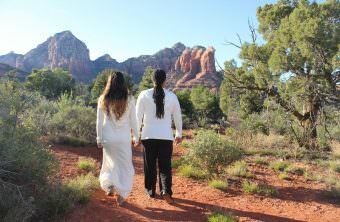 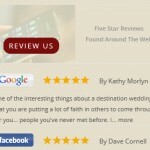 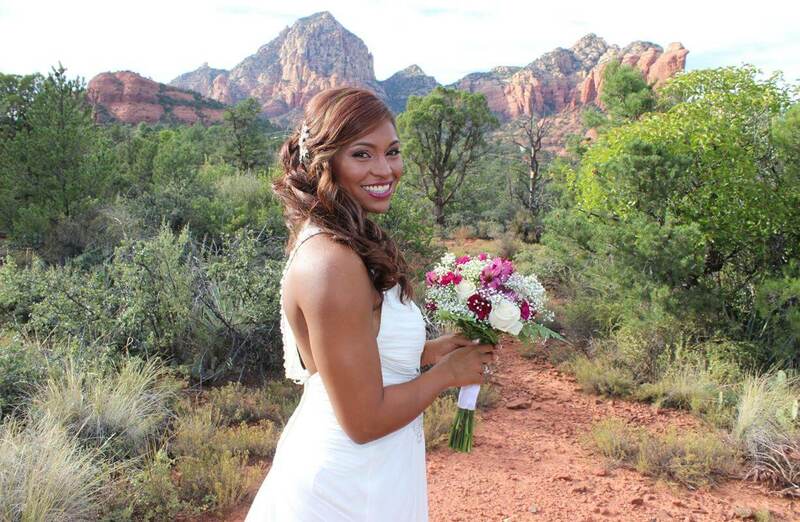 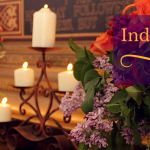 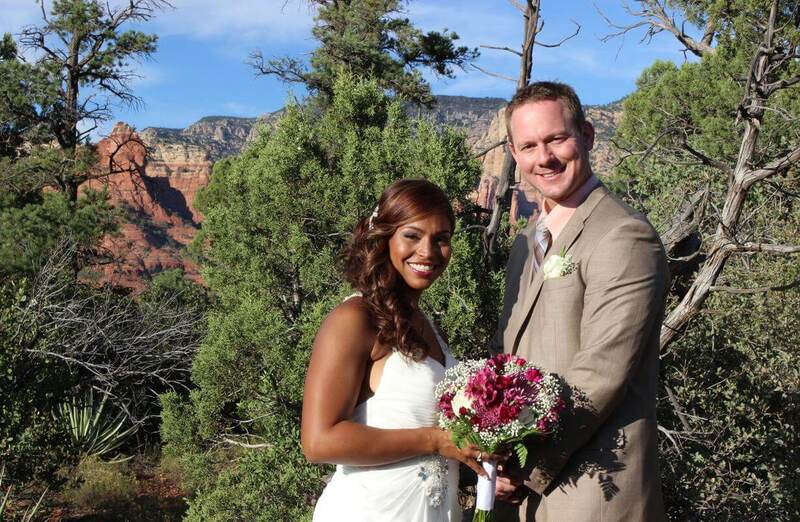 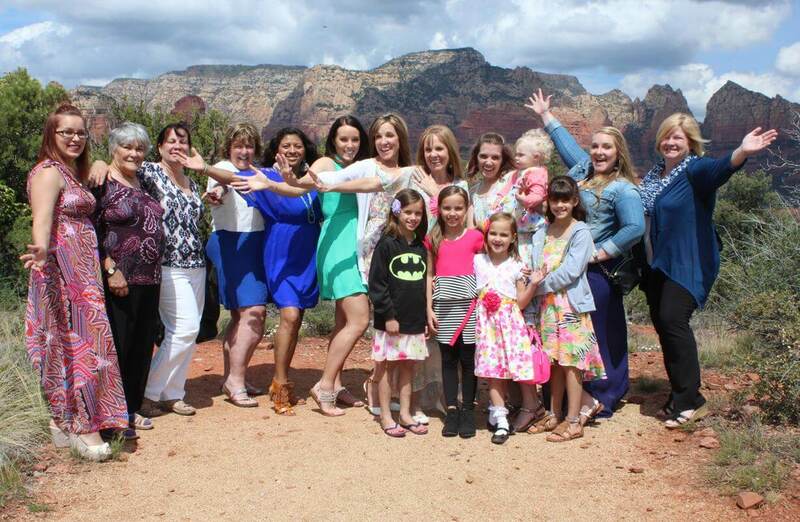 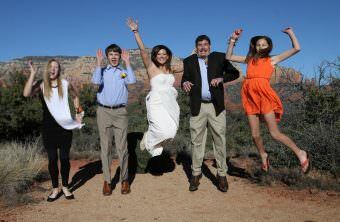 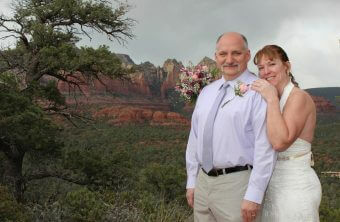 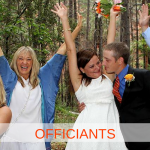 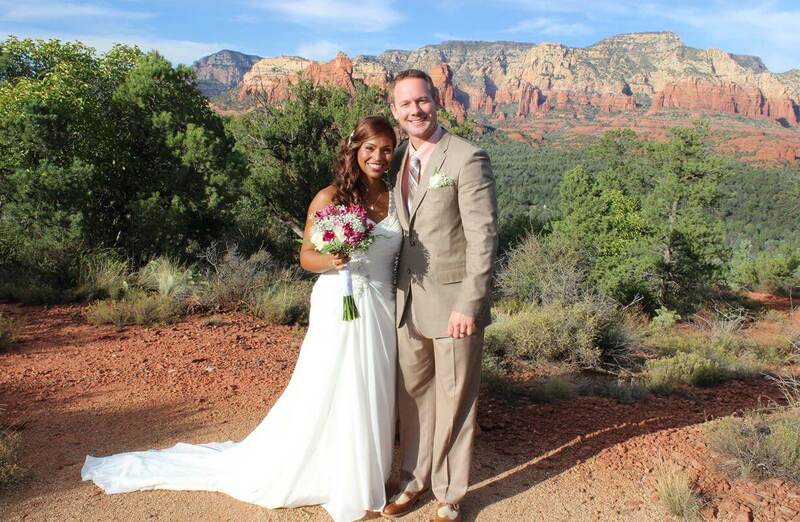 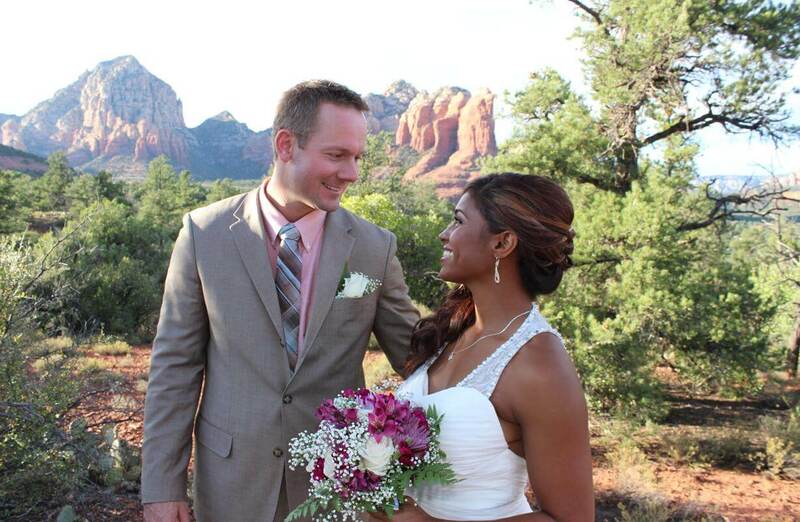 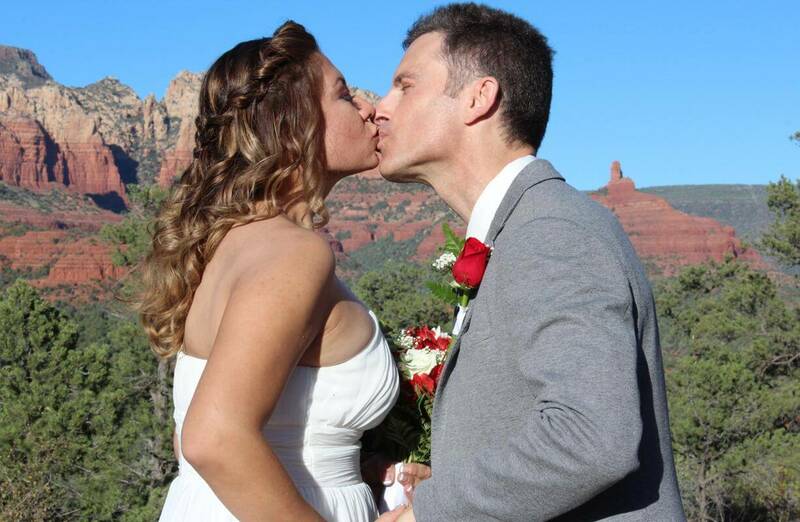 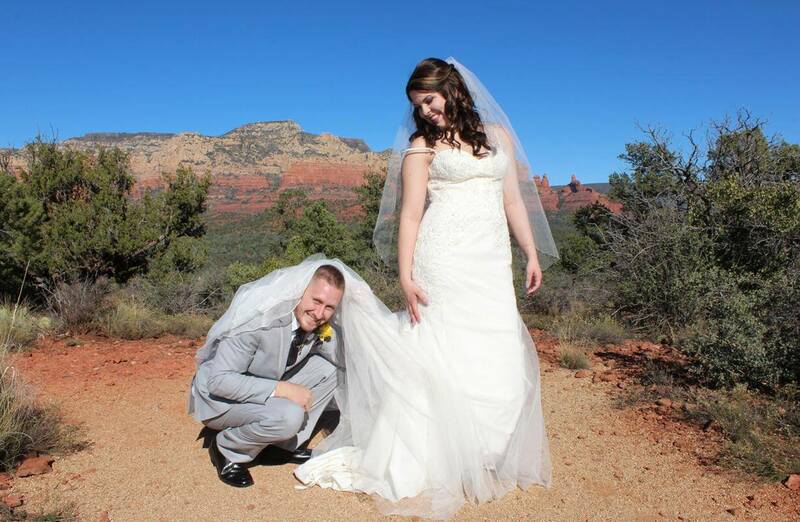 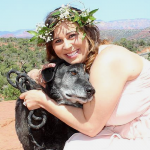 This hidden little gem is the absolute easiest access wedding site in all of Sedona. No long hike, no climb. 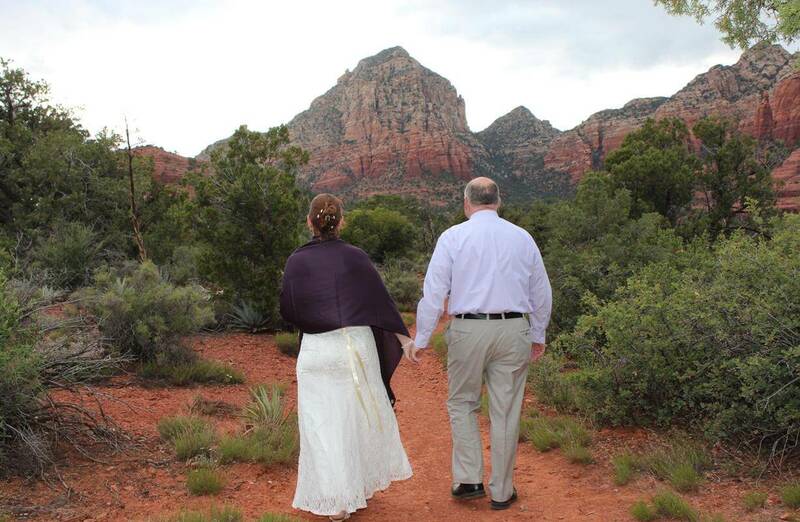 Just pull up, park and walk a few hundred yards on a flat, well kept trail and you are there. The ideal times at this location are sunset and anytime on weekends. 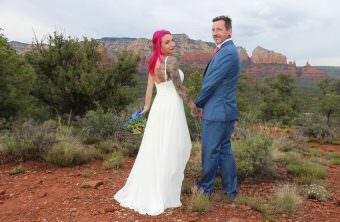 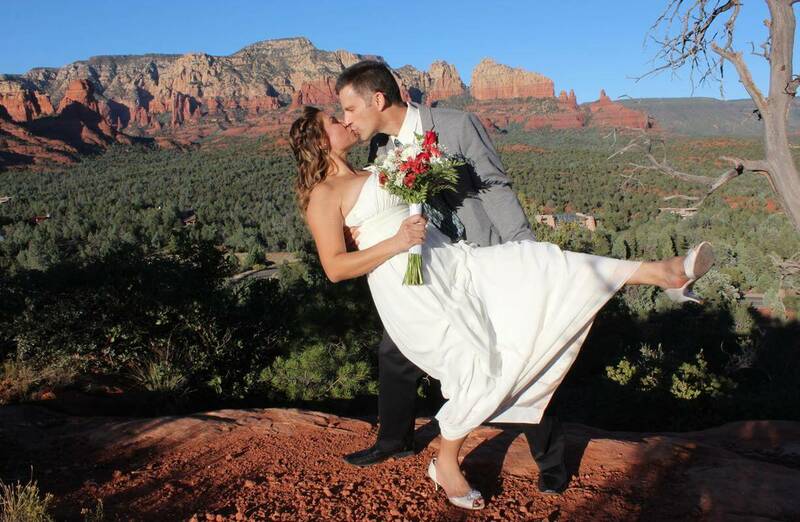 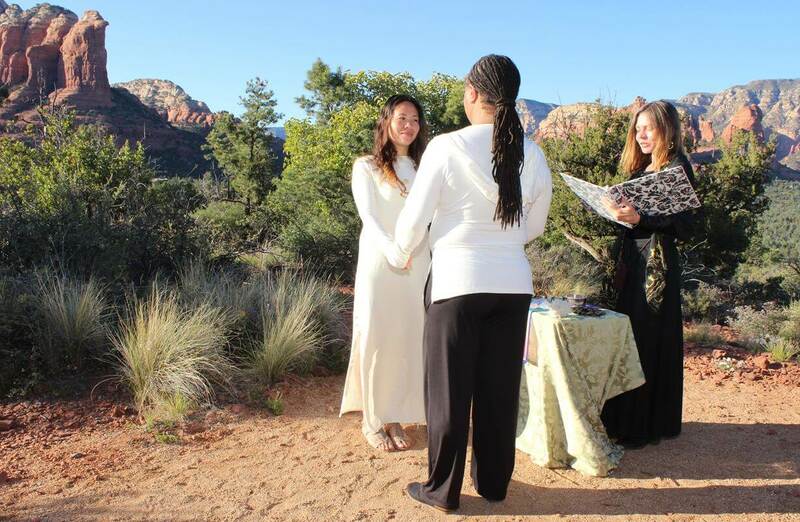 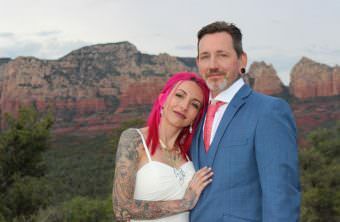 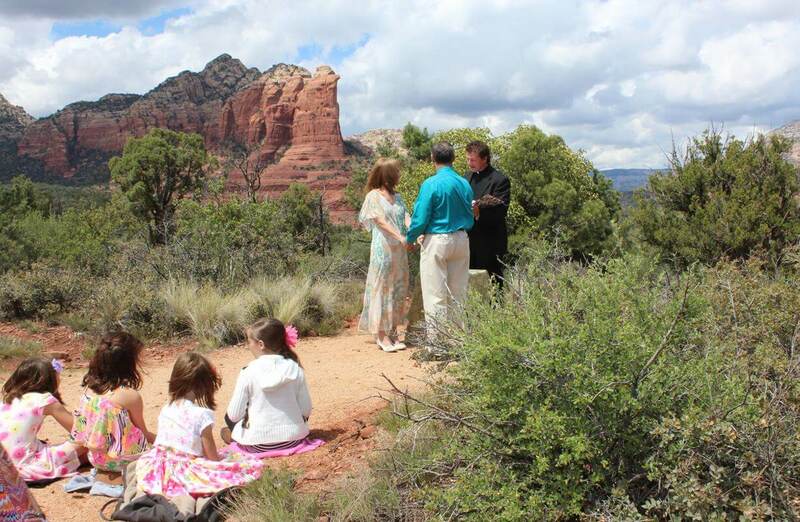 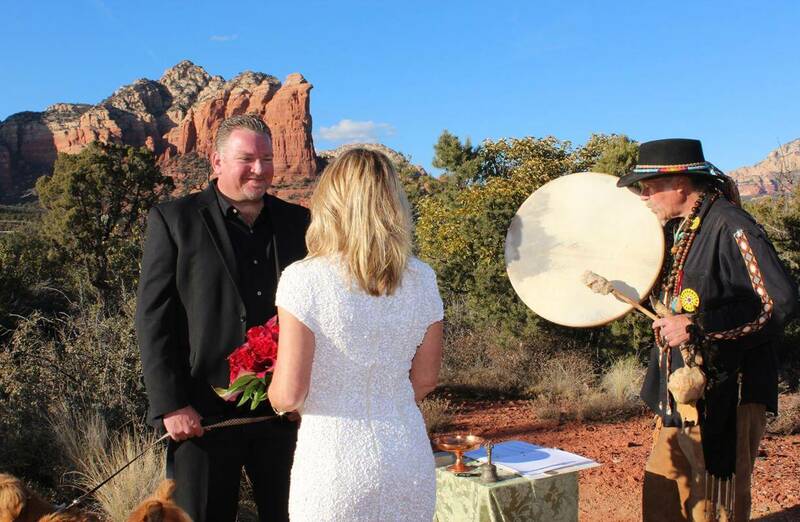 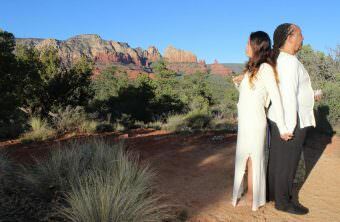 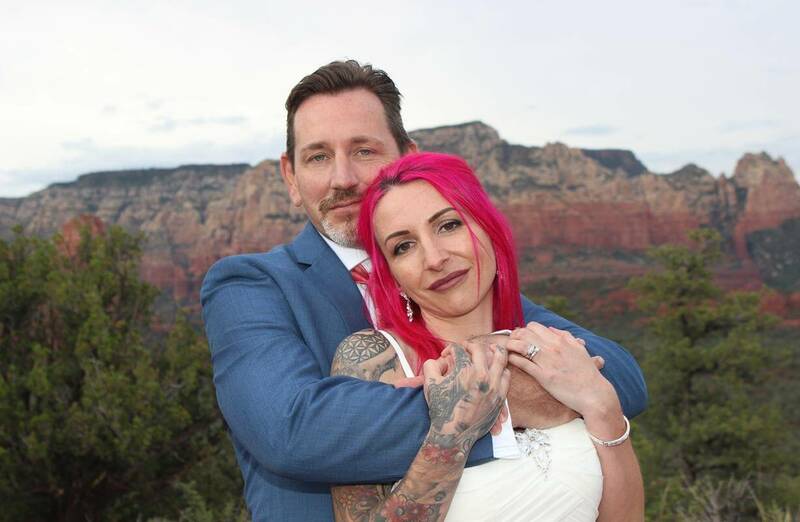 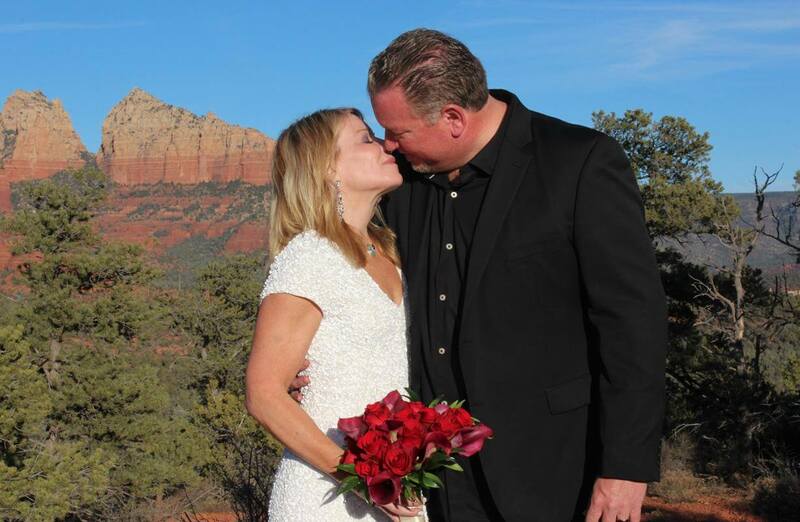 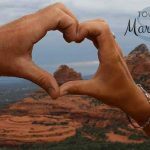 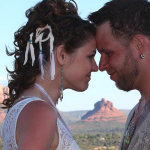 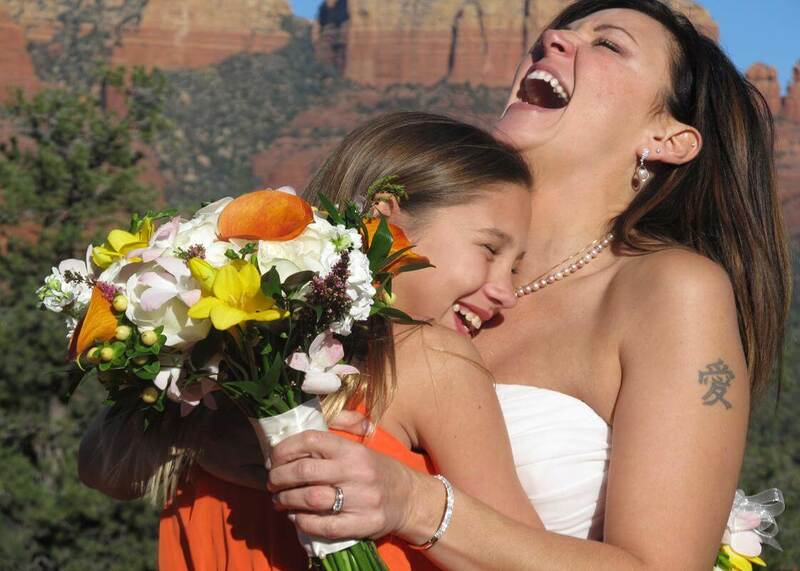 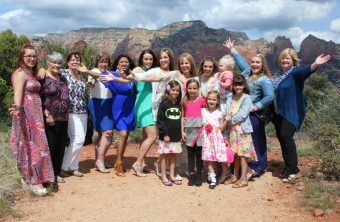 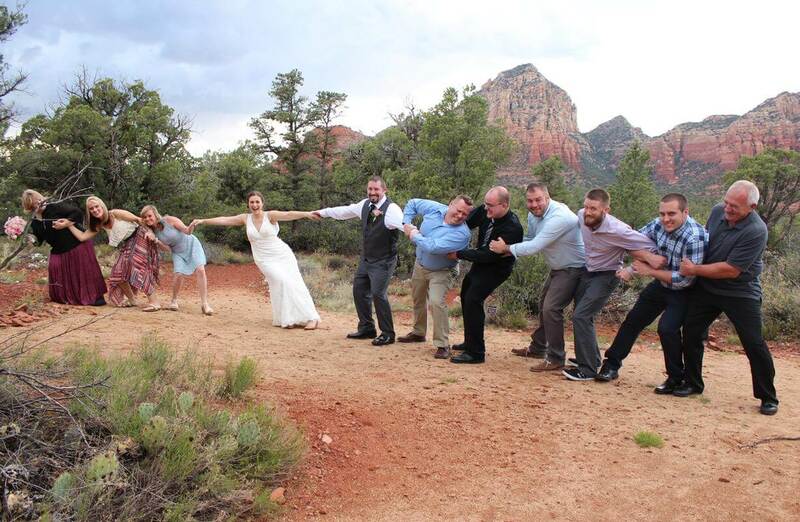 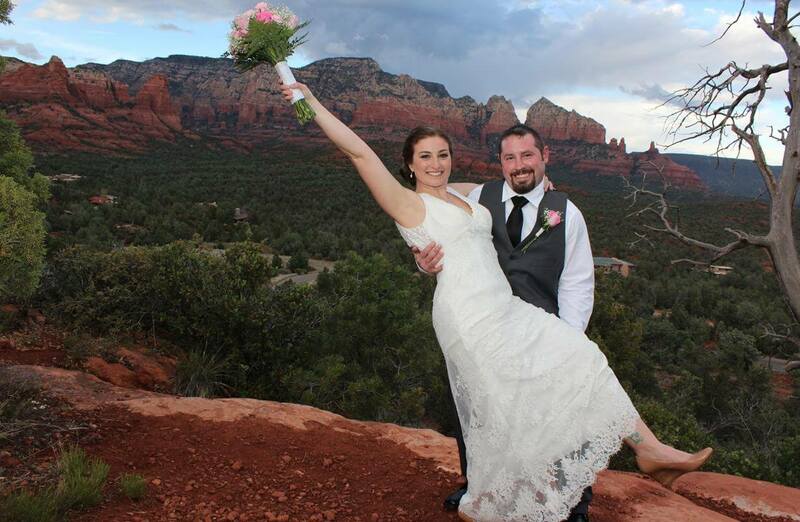 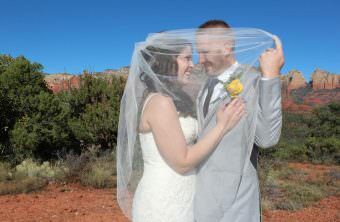 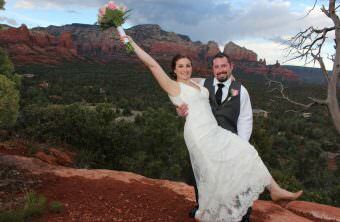 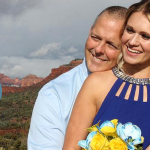 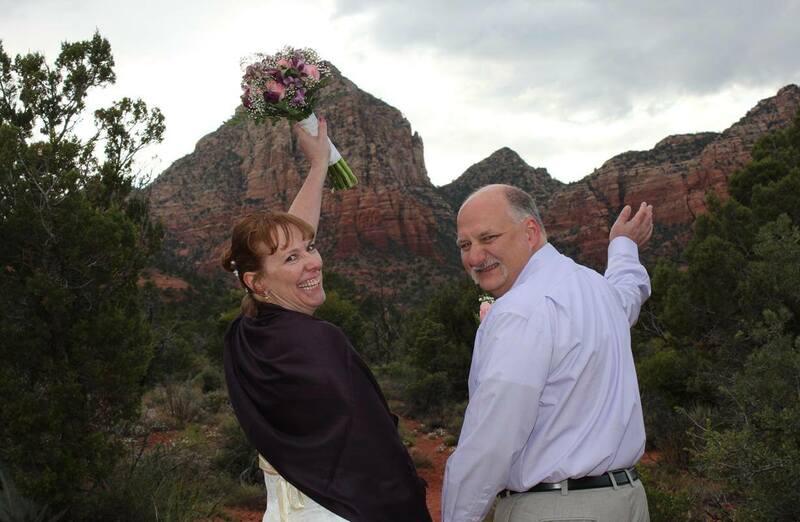 Magic Vista is a personal favorite of mine because I love the energy of Sugar Loaf; it is the heart center of Sedona and the Americas and that’s some powerful energy to have in your wedding ceremony and a great way to begin your married life together. 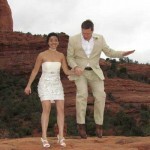 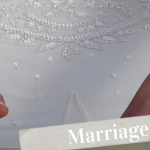 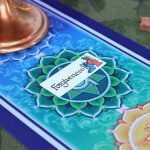 This site is great for all size weddings.